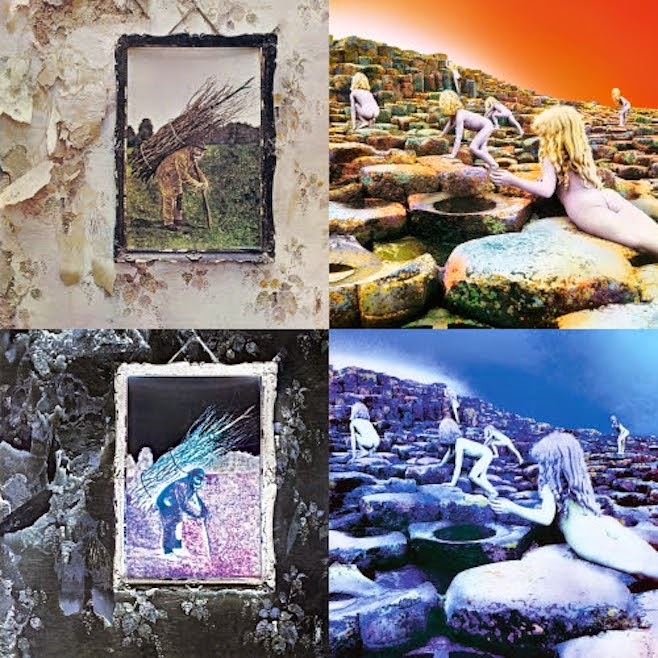 The next round of Led Zeppelin deluxe remasters hit this week, with "IV" and "Houses Of The Holy" getting the upgrade in both sound and content. If you want to refresh your memory on what took place with the first round, my review is here. Like the first round, I listened to the vinyl copies of both 1971's "IV" and 1973's "Houses Of The Holy." Unlike the first round, I wasn't immediately blown away, at least not with Zeppelin IV. The first thing I noticed as "Black Dog" started to shape up was a lack of bottom. 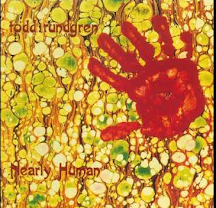 I don't recall this record or any record by this band ever sounding so brittle. This is not to say it isn't an improvement over previous releases, but after enjoying the remastering on the first three, I anticipated the same type of excitement. Maybe my ears were expecting something completely different in the upgrade than what Jimmy Page or any of you will. On the other hand, "HOTH" is the exact opposite, sounding more like a John Paul Jones production, with the bass taking front and center. This remaster is breathtaking. Like the first round, every layer of music is crystal clear, from Bonzo's cymbal work in "The Rain Song" to JPJ's bass work in "The Song Remains The Same," which is a song in itself. From the intitial needle drop, you will feel LZ in your living room. While neither of these new remasters benefits as well as the first three with audio improvements or bonus materials, for a fan...and I am...they are still very exciting, especially HOTH. Next up, the 40th anniversary remaster of my favorite LZ record, "Physical Graffiti" coming in February, 2015. Cool review, Sal - I wish more music reviewers took your approach in terms of the details of the sound and the value of the "deluxe" reissues. Too often, I read reviewers trying to give me a history lesson/synopsis of the band, which I usually know. I don't think I can resist getting either of these - especially HOTH. I've gotten the first 3 and sure am enjoying them. IV seems a bit cleaner on first listen compared to the othe copies I have. Very good but not amazing. I can't complain as this one was free (a defect on side 2 so my local guy gifted it to me). Next up is HOTH and you have definitely peaked my interest. I agree the first 3 were fantastic. As I am listening to IV is sounds a little too "bright" and a little clipping on Battle of Evermore. He vinyl is super flat and dead quiet which I can't say about all of my other copies. Well, Graffiti should be good, but I'm really waiting to hear Presence... this was the album that upon release made me reevaluate LZ and improve my life... and Sal, you're correct about HOTH!